The Big Breakfast Gift Hamper hosts a bountiful array of delicious bakery products to accompany the Award Winning preserves and marmalades. Savour the freshly ground Colombian coffee from our local Micro-Roastery, The Teesside Coffee Co, a perfect accompaniment to the bakery treats. 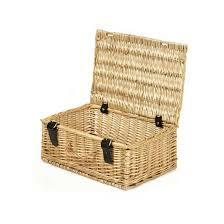 Delicious pate, crispbread and a bowl of tropical fruits are just some of treats inside this basket. Why not make this a truly special breakfast by accompanying it with a bottle of Prosecco or Champagne. The Big Breakfast Hamper is filled full of delicious bakery products to accompany the Handmade Hamper Award Winning preserves and marmalade. The freshly ground Colombian filter coffee from our local Micro-Roastery, The Teesside Coffee Co, is a sure way to get you going in the morning. A medium roast and delicious in flavour, a perfect accompaniment to the Blackfriars Bakery flapjacks and blueberry muffins. 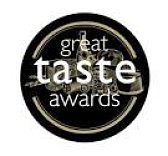 Savour the delicious pate on the exquisite artisan crispbreads before enjoying the Award Winning Teapigs tea. A glass of pure squeezed fresh orange juice and a bowl of tropical fruit make this breakfast complete. Why not make this a truly special breakfast by accompanying it with a bottle of Prosecco or Champagne to make this an special breakfast treat. Morning deliveries cannot be guaranteed using the standard delivery service. Please use the AM delivery option at checkout if you require this item delivered early. Italian Prosecco 75cl 10.5% – A delicious sparkler with zesty lemon, pear and apple flavours. Crisp and refreshing with a hint of sweetness. 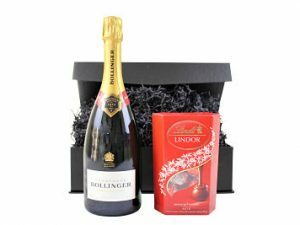 The Champagne and Chocolate Gift Box is a perfect present for any occasion. Prestigious champagne to accompany the finest of chocolates. A mouth watering pairing and not one to be missed. 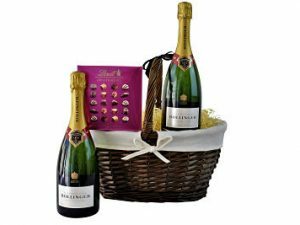 Combine your choice of exquisite champagne and a box of delectable chocolates within this gift basket to make a very generous gift to please any discerning recipient. 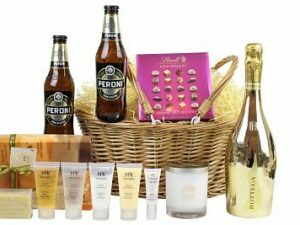 Allow yourself to be pampered with The Couple’s Sensual Luxury Gift Hamper Basket, A fantastic indulgent experience, to share with a loved one or to send as a romantic gift.